You will be voted in as your guests' favorite bartender when you fix their drinks to order with this WMF Loft Boston cocktail shaker. 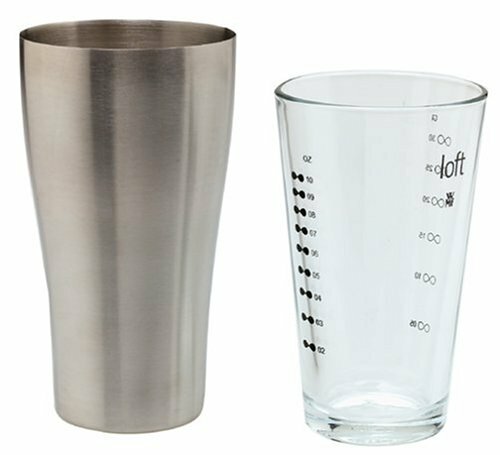 The base is made of high quality stainless steel with a Euro design, sleek lines and a matte finish, while the top is clear glass with a measuring scale up the side. Measure your ingredients into the top, then the two pieces fit together snugly, forming a suction type seal while you shake it up, then serve. Our open stock Loft strainer is available to couple with this shaker.